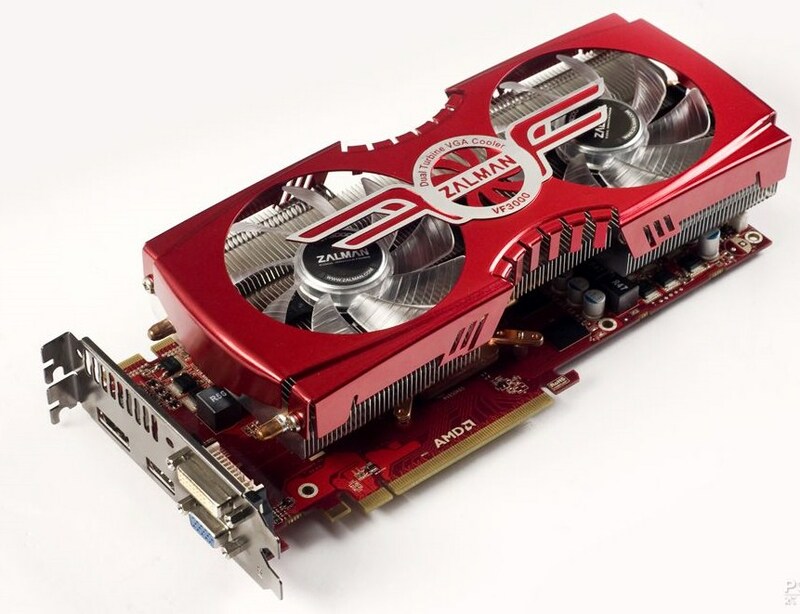 ColorFire has designed a new Radeon HD 6850 which uses a custom designed PCB featuring a stronger VRM phase and fitted with a Zalman VF-3000 GPU Cooler. The PCB along with the cooler are colored Red. 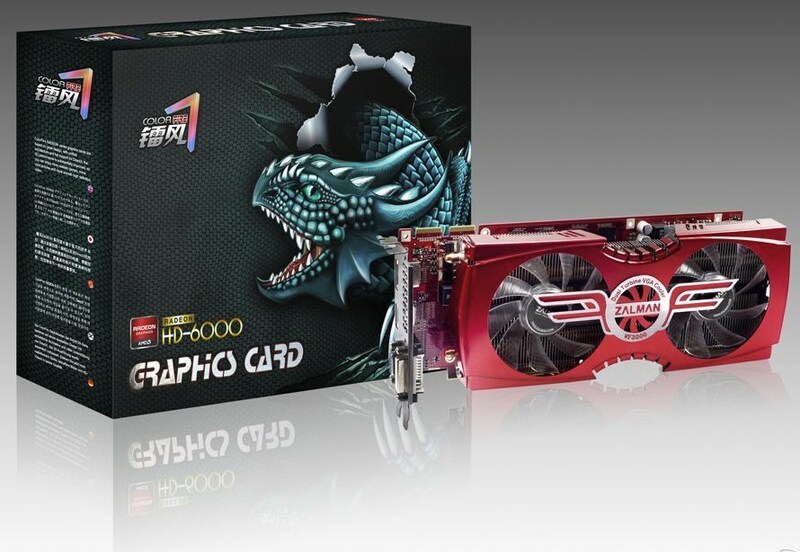 The card features a 7+1 phase VRM which is powered by two six pin connectors, The card comes with a slight factory overclock and the VRM phase will allow room for even more overclocking. The card uses Low-latency (0.5 ns) GDDR5 memory chips built by Hynix. The card comes with 2 Crossfire fingers which shows it can support 3-4 way Crossfire. The Zalman VF-3000 cooler is one of a kind cooler which can easily handle high thermal loads. The cooler is equipped with a dense aluminum fin array to which air is ventilated by the help of two 90mm fans. Display connectors of the card include one each of DVI, D-Sub, HDMI 1.4, and DisplayPort 1.2. The card packs 960 Stream processors and the clocks of the card are still not known but will come with a slight overclock.